De’Cordova Eyewear was founded by Dr. Kerri-Ann Hodge. She began the company from her deep passion to eradicate eye diseases and help people with their vision. While growing up, Kerri-Ann’s dad experienced serious eye complications which ultimately left him blind. In her quest to find a cure, Kerri-Ann entered the field of optometry and started De’Cordova Eyewear; named after her father, Bernard De'Cordova Coombs. De’Cordova Eyewear is more than just vision for the eyes, the impetus for the business is to help our customers find their full vision and purpose, starting with their eyes. To that end, we provide a comprehensive set of services that span from eye treatment to the entire body. Whether it is finding the best corrective or fashionable lens, to wanting to sit in a relaxing environment and be nurtured or just enjoying a spa visit,– you can find it at De’Cordova Eyewear. We want you to feel fulfilled and empowered with your renewed vision to achieve your God givenpurpose in the world. At De’Cordova Eyewear you will find eye care experts that are keenly disciplined about treatment of your eyes. We also have specialty experts that deal with people who have diabetes or other afflicting diseases that can impact the eyes and your vision. From children to the elderly, we service all ages. As you enter in the doors, you will feel the love and care that De’Cordova embodies. Each customer is treated with respect and care. Born in Jamaica and educated in the US, Dr. Hodge has a keen understanding of working with people of all cultures. 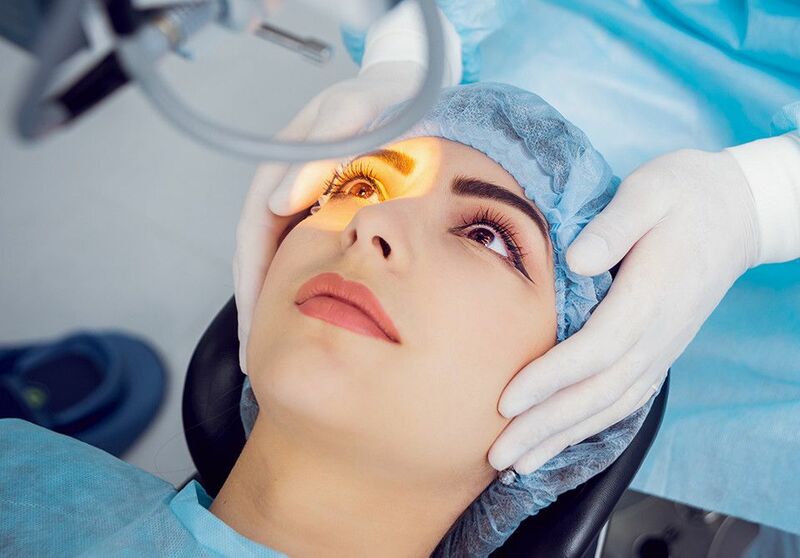 Our mission is not only helping you see better but it is to help you achieve the vision for which you have been called starting with your eyes. Come visit us at De’Cordova Eyewear and see a better you! Your vision is the gateway to new thoughts and creative ideas to enter your mind and change your views of tomorrow. Improving people is the only way to improve our world. No matter how much we have or how little, if our views and vision are blurred, we cannot clearly see the future ahead. ● The EYE is the doorway to all things possible. Clear Vision gives people the ability to do more when sight is focused and clear. ● ENLIGHTENMENT creates an environment of creative thinking that encourages all age groups to dream again. ● We Inspire, EMPOWER, EDUCATE, Improve, Strengthen people to be the best they can be. We provide full comprehensive eye exams for all ages. Our office doctors have a wide experience that ranges from medical services as a registered nurse to specific optometric vision care. We know our resume is not our work but we compete with self-daily in becoming better at treating and serving you. how to take care of your skin and face.